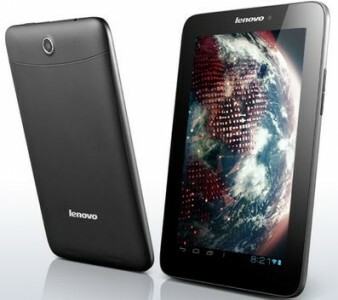 Lenovo has the IdeaTab A2107 7" Tablet on sale for $159 with free shipping after coupon code "WEEKLYDEAL". Take care to enter no extra space at the end when applying or it will fail. The A2107 runs Android™ 4.0 Ice Cream Sandwich and is equipped with the A-GPS navigation technology that helps you find any location quickly. It has a LED (Light Emitting Diode) touch screen at a resolution of 1024x600. It's a lightweight and inexpensive way to try out the Android apps you've been hearing about; it's preloaded with popular apps like Shazam, Skype and Kindle. Several online buyer reviews call it a very good entry Tablet or to use as a backup. In fact, some buyers liked it better than the similar Samsung Galaxy Tab 2.